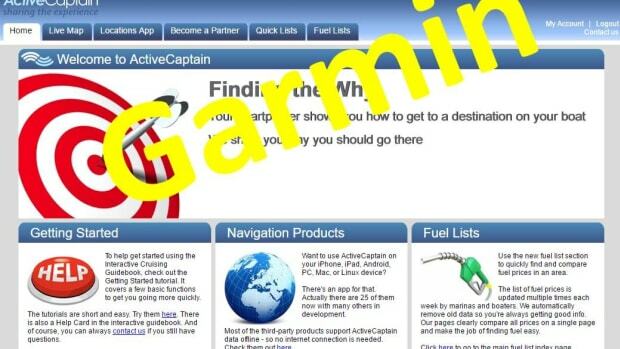 Navionics has launched what might be characterized as a guerrilla campaign to insinuate itself into Garmin’s charting monopoly, and Garmin does not like it one bit. 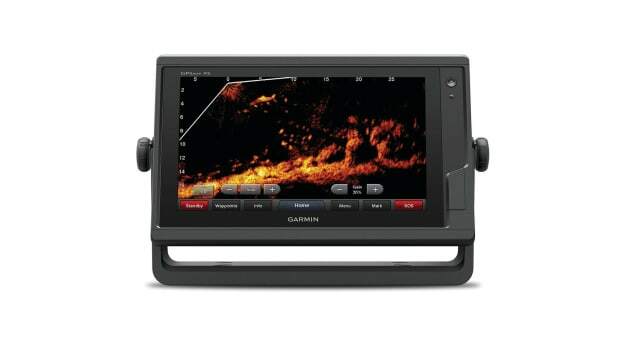 Of all the makers of multifunction navigational displays, Garmin is the only company that develops its own cartography instead of collaborating with the mapmakers at Navionics or C-Map. It has been a unique business model. 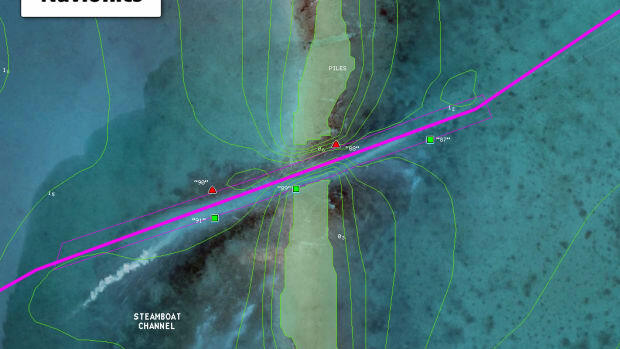 But now Navionics has launched what might be characterized as a guerrilla campaign to insinuate itself into Garmin’s charting monopoly, and Garmin does not like it one bit. 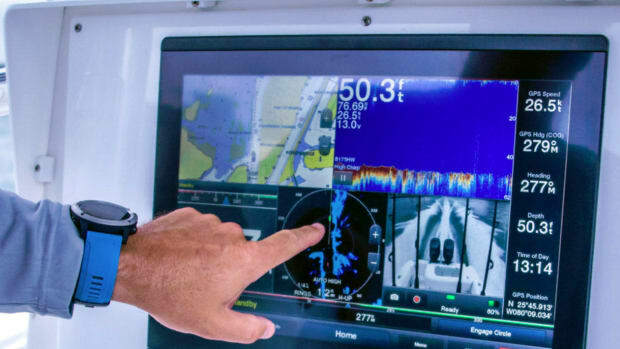 The first salvo was fired at the Miami International Boat Show by none other than Navionics’s swashbuckling Italian CEO, Giuseppe Carnevali, who boasted that his company had used reverse engineering to create charting software that would display Navionics charts on the screens of late-model Garmin products that used SD or MSD cards to load charts. 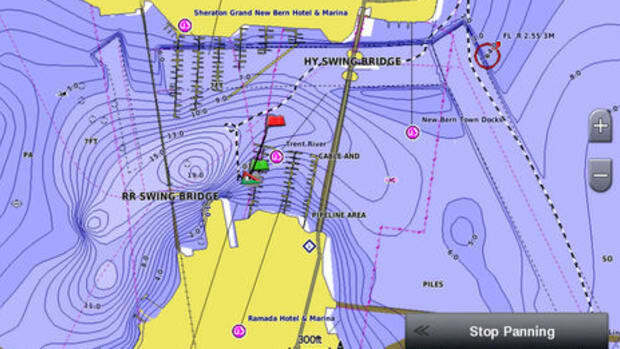 One of the incentives for Garmin’s customers to take advantage of Navionics’ charts is that they could participate in the Navionics SonarCharts, an innovative crowdsourcing initiative that is gaining popularity. 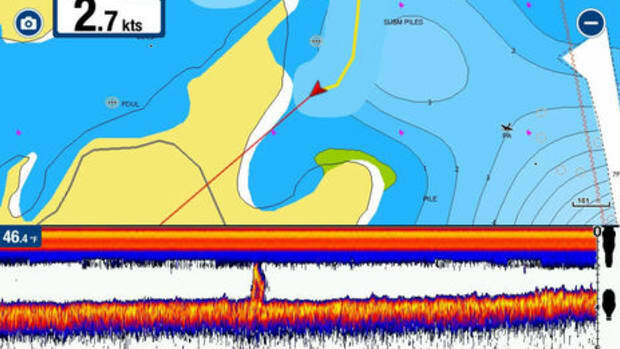 Anyone with SonarCharts installed can record sonar logs and upload them to Navionics, which accepts the logs from a wide range of fixed plotters and mobile devices. These uploaded sonar logs are integrated with existing data to generate new SonarCharts every day. 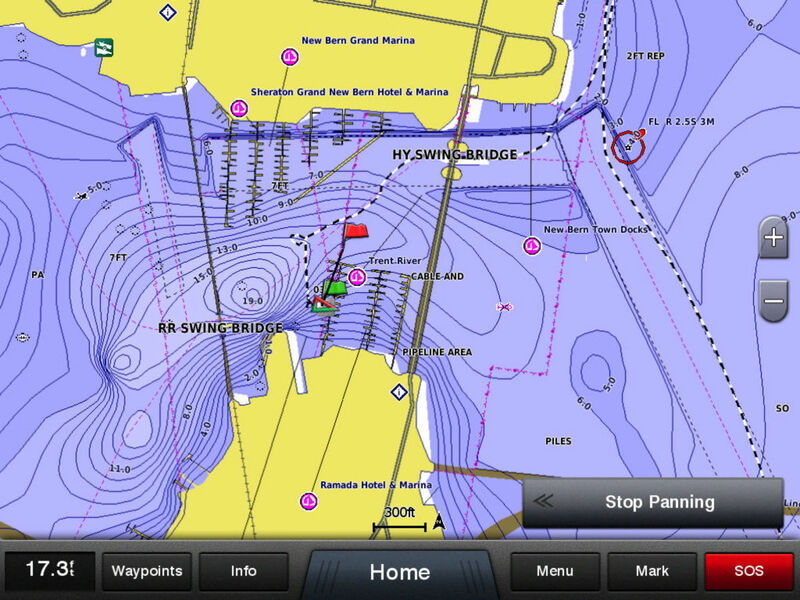 Garmin sonar recordings take about one week to be integrated by Navionics and made available for download back onto the cartography medium along with the data of every other participating boater. 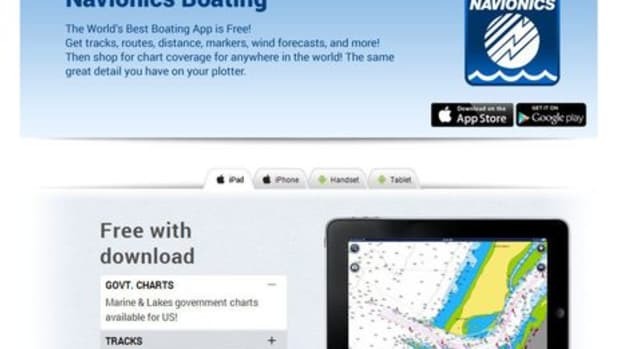 Updated SonarCharts can be downloaded anytime, free for the first year, under what Navionics calls its Freshest Data Service. 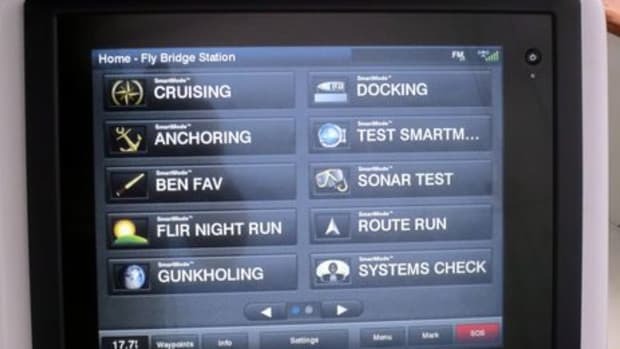 Displeased, Garmin insisted that Navionics include a disclaimer in its sales material, warning that any future MFDs would not be compatible with Navionics’ special cartography, nor would any existing Garmin devices that installed a software update. The degree of Garmin’s resentment may be gauged by the fact that the normally tight-lipped corporation responded to a PassageMaker enquiry with something other than its usual no comment. 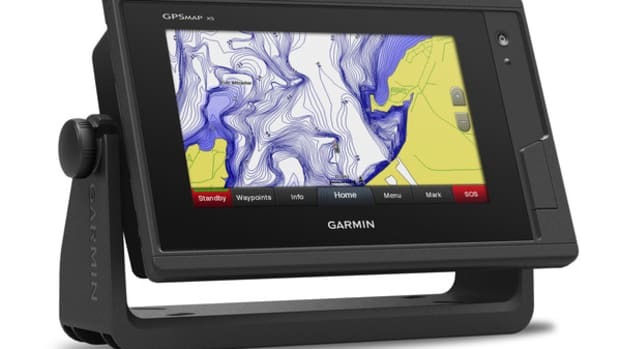 To begin with, Garmin spokesman Carly Hysell acknowleged that Garmin’s efforts to thwart Navionics’ entry into its markets had led to “frustration for many boaters,” but she said Garmin’s objection was based on a lack of quality control. Hysell repeated Garmin’s determination to render SonarCharts inoperable through software updates.